Today I visited Asaka History Museum in Koriyama City. 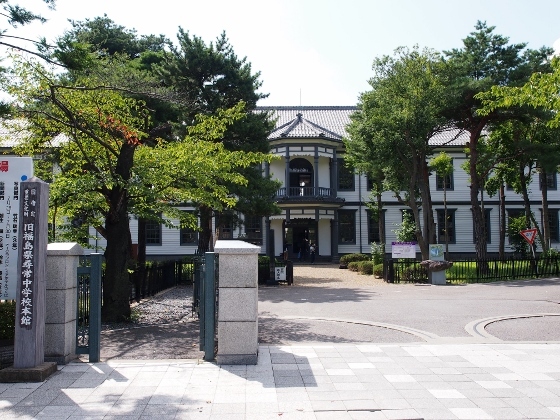 The building of the museum had been severely damaged by the East Japan Earthquake, and after the restoration work it reopened on Sept. 6, 2014. 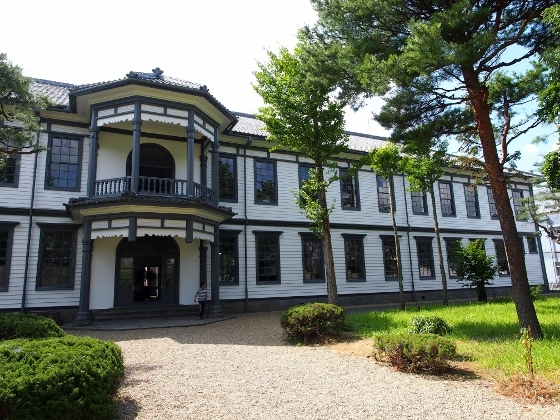 The building of Asaka History Museum was constructed on 1889 and this was at first built for only one junior high school of Fukushima Pref. under the old education system. Thus the building is 125 years old today, and because of its sophisticated western style building at that time, it was declared National Important Cultural Property. 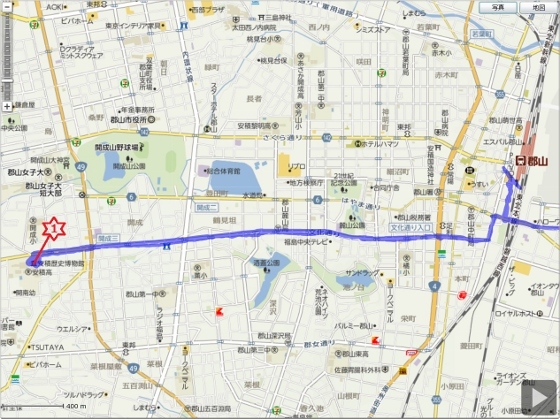 The location is red asterisk 1 in the map and is about 4km apart from Koriyama Station. 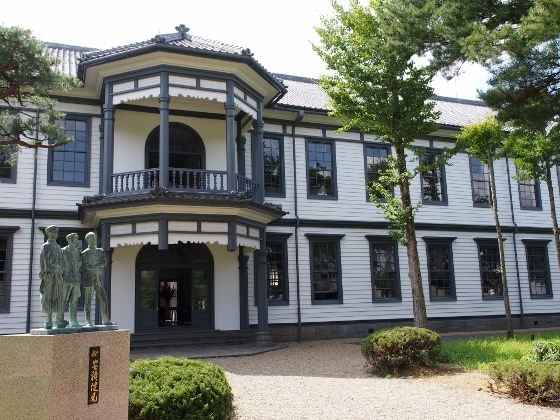 Above picture shows front view of the Asaka History Museum. The panel in the above photo explains the history of the building. Some other photos of front balcony of the building are shown above. 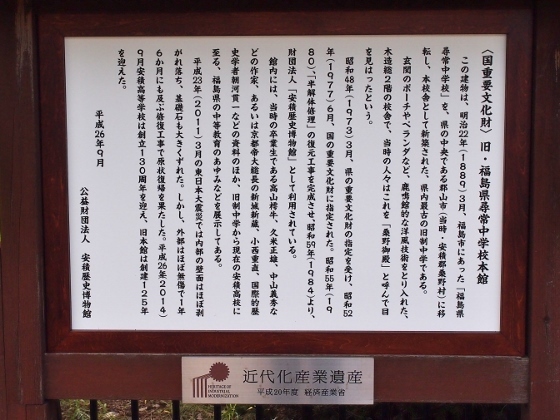 Inside the museum I could find many displays explaining the history of Koriyama City. One of the displays is shown above. The photo shows waterway of Asaka Canal which made foundation of Koriyama City. 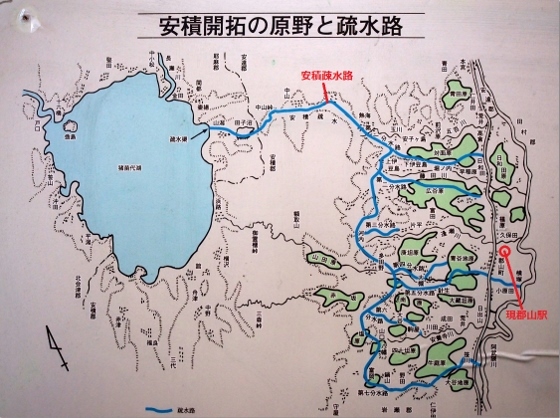 It gives visitors a clear image of the waterway from Lake Inawashiro all the way to several parts of Koriyama area. 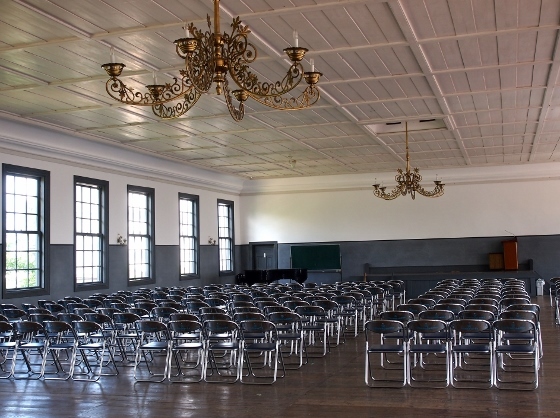 Above photo shows a large lecture hall in the upstairs. 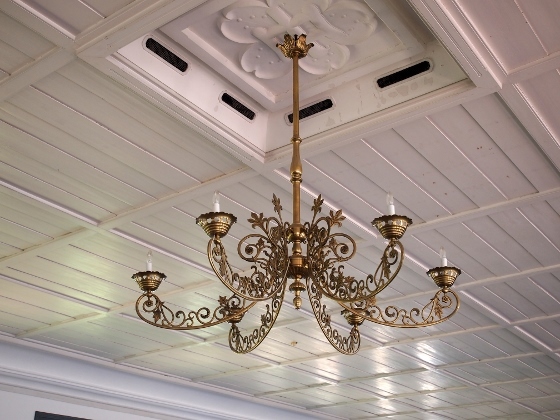 Above photo shows close up view of the ceiling chandelier in the hall.. 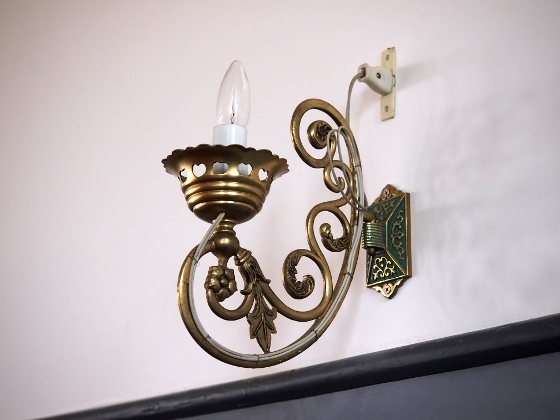 Above photo shows close up view of the decorated lamp on the wall.